This post has been sponsored by Balloon Time. All thoughts and opinions are my own. Monday again! Don’t the weeks just fly by? Instead of dreading Mondays, think of them as a fresh start. The first day of the week should be exciting and full of possibility. Today, I’m sharing ideas on how YOU could brighten someone else’s Monday! Think spouse, kids, besties, co-workers… basically anyone that needs a pick-me-up and an instant mood change. The key to preparing for a busy week is to have a little fun first. Set the tone on a positive note and the rest of the week is sure to be so much better. This is easier than you might think! 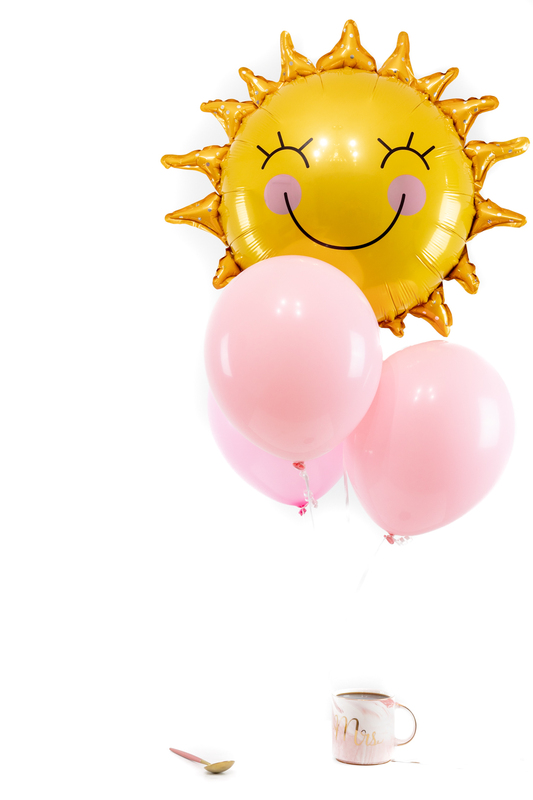 A super hack to unlock easy smiles is having a Balloon Time Standard Helium Kit right at home. Once you realize you can blow up balloons at any time, there’s always reason to celebrate. 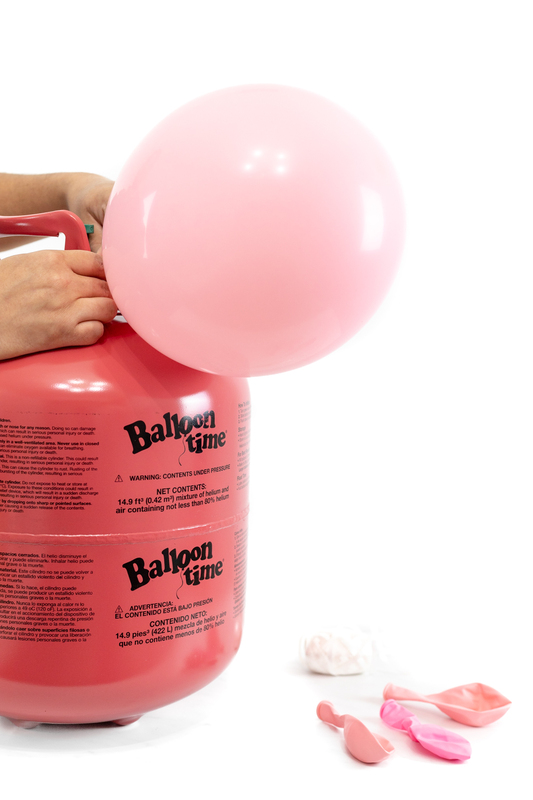 Grab your Balloon Time tank from its cozy little home in your house and blow up happiness-inducing balloons to kick Mondays off right! WOOT! Super duper important: Adult supervision is required when using balloons. Please read all warning and precautions on the Balloon Time box before use. Mondays don’t need to stink! Grab a few supplies and make Monday a funday! The smiles will make this idea EVERYTHING. Since almost everyone loves coffee, gifting coffee and a balloon bouquet is gonna be the perfect way to surprise someone on a Monday morning. 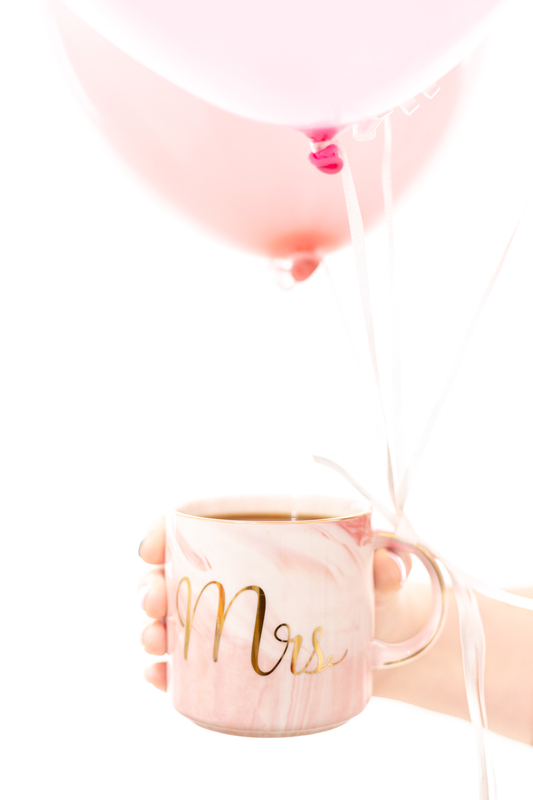 Pick a cute mug and matching balloons to get the one-person party started. Let’s go over a quick step-by-step on how you can share a little Monday surprise ASAP! Step One: Pick your balloon bouquet. Bright and cheery colors are a must for brightening the mood. 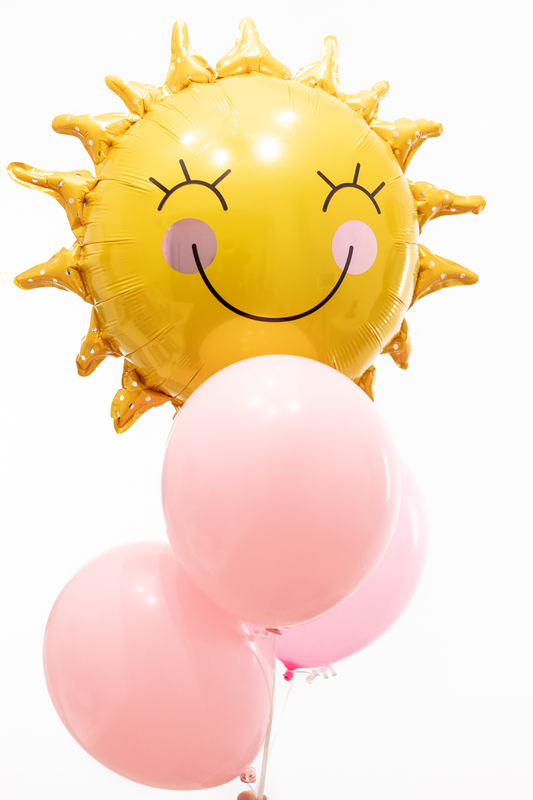 A sun with a smiley face is also a total win. The combinations are endless. Step Two: Secure your balloons by tying them to a heavy mug to prepare for your Monday Funday surprise! Step Three: Write a fun and uplifting note to give to your recipient if desired. Step Four: Brew and pour coffee into the balloon surprise mug. Step Five: Deliver your delish surprise to the person you want to make smile. Step Six: Have a wonderful Monday! No grand gestures are necessary to sneak in a little fun on a Monday morning. It’s the little things, my friends! 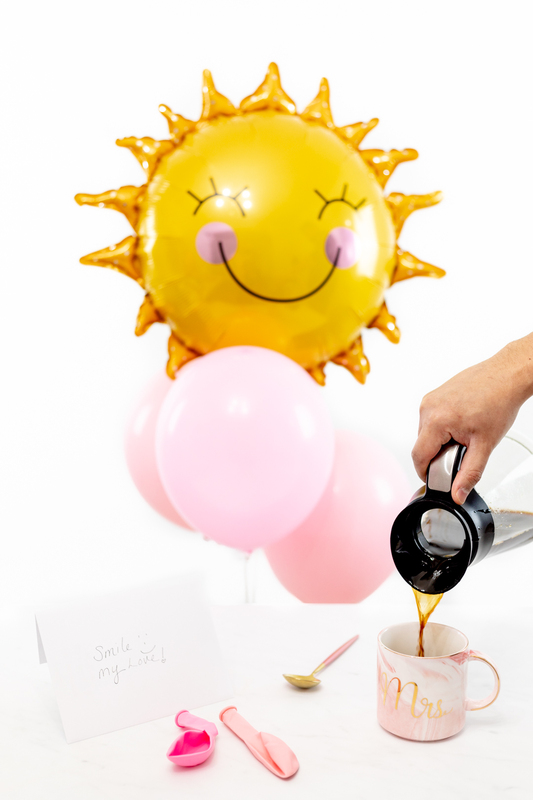 A fun coffee mug, a heartfelt note, and some happy balloons can set the tone for a good day. It’s easier to handle the curveballs life throws throughout the week when you start your Monday with FUN! If you haven’t noticed, I’m kind of OBSESSED with balloons! I’m STOKED to finally have my very own Balloon Time Standard Helium Kit right at home! A kit comes with balloons and ribbon making it easy to start getting inspiration to make up more excuses to celebrate days outside of holidays and birthdays. Balloons spark a true happiness and inner joy whenever I see them! So, nothing is stopping me from grabbing my Balloon Time tank from its cozy little home in my closet to blow up smile-inducing balloons for a Monday Funday! Yippee! 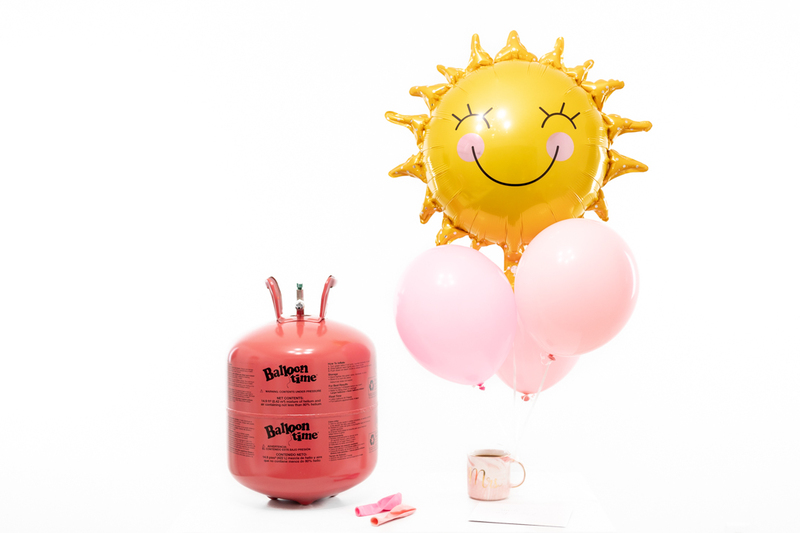 Check out Balloon Time products to make every day more exciting! No hustling off to the party store. It’s like an instant celebration… any time! Good idea. Thank you for sharing.